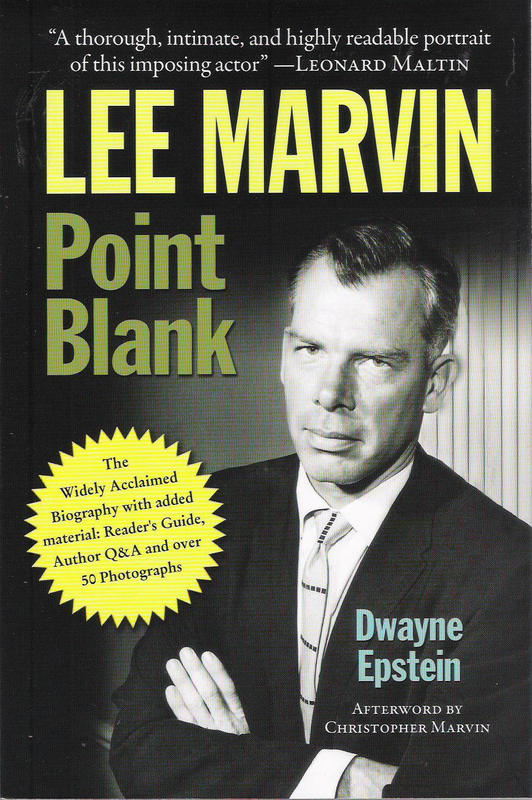 LEE MARVIN: POINT BLANK PAPERBACK ARRIVED! So, Barbara and I are on our way to lunch when we see the UPS truck pulling up in front of our apartment. We walk back, just in case, and I ask the driver, “Is that for us?” When he says yes, Barbara responds, “Hmm, that’s funny as I wasn’t expecting anything. I wonder if…” The driver points to me and says, “It’s for him.” I smile like a butcher’s dog as he hands me a case of paperback books entitled LEE MARVIN: POINT BLANK. Lunch was sligthly delayed. That’s right, the paperback arrived from the printer, today. Amazon listed the release date as July 1st of this year, but it looks like it will be available much sooner. What’s different from the harcover? The first four pages are ten cherry-picked reviews, followed by the Copyright and revised Dedication. Then the Table of Contents shows the new content. By the way, the text (and the index) has been revised as well….. I really like what graphic artist Jake Kiehle did with the back cover as shown above! 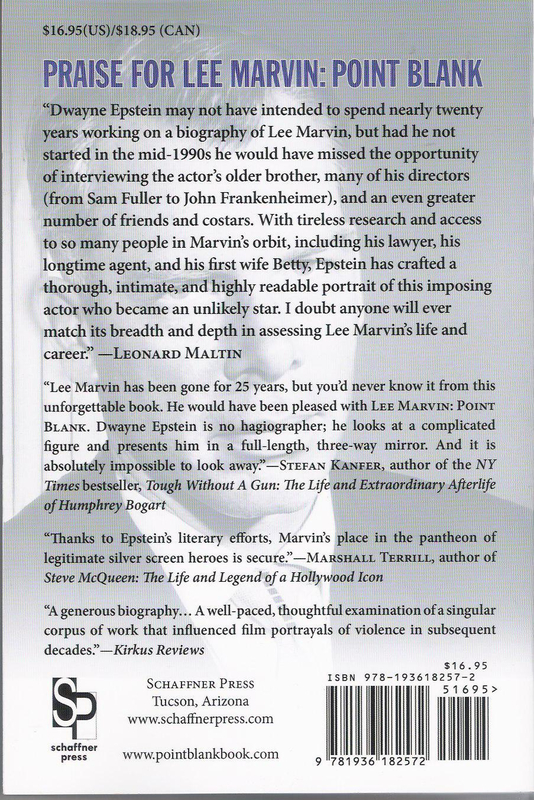 This entry was posted in Blog and tagged Dwayne Epstein, Jake Kiehle, Lee Marvin, Lee Marvin Point Blank, paperback, Table of Contents by Dwayne Epstein. Bookmark the permalink.